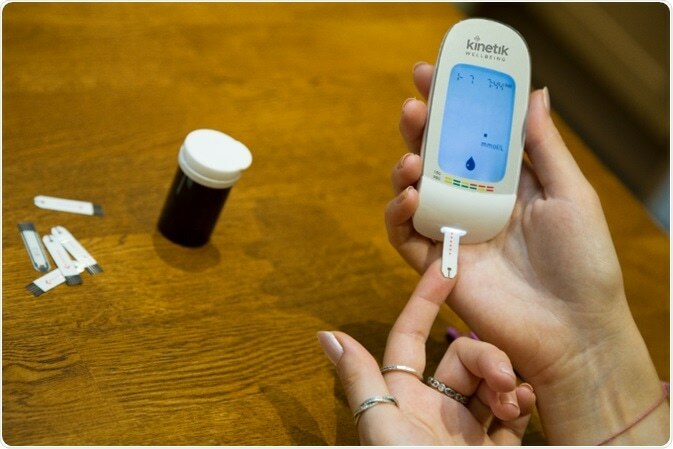 Kinetik Wellbeing’s glucose test strips are designed to be used alongside their Blood Glucose Monitoring System – this means they can be used immediately with no need for coding. The test strips are also designed to work using extremely small sample volumes, meaning small blood samples can still provide an accurate reading. 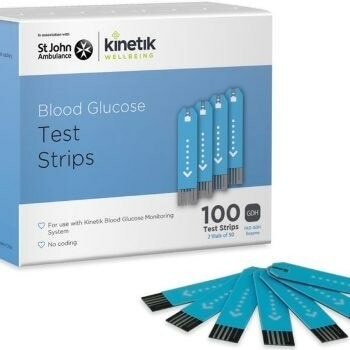 The test strips are a Class IIa medical device that adheres to the EN ISO 15197:2015 – currently the strictest standard for blood glucose testing in the UK. If the test strips are purchased in bulk then customers can either receive a monitor or 20 more strips at no extra charge. This provides customers with more for their money than available elsewhere. Kinetik Wellbeing wants to provide the best possible value to their customers, if customers find Kinetic Wellbeing products available for cheaper at any other legitimate retailer (whether online or offline) Kinetic Wellbeing will match the price. Kinetic Wellbeing has partnered with St John’s Ambulance, the largest charity first aid provider in the UK, on a range of health products. These include health kits, blood pressure measurement instruments, allergy relief, pain medication and thermometers.